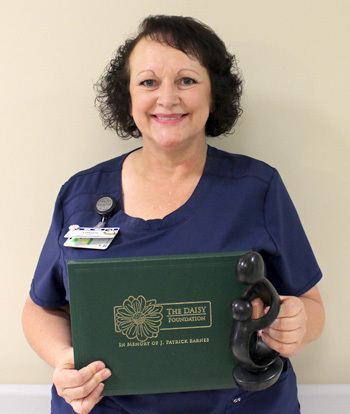 Lady of the Sea is proud to announce Tiffany Gisclair, RN from the Medical-Surgical unit, as the recipient of the DAISY Award for Extraordinary Nurses for 2018. The DAISY Award recognizes the extraordinary care and compassion provided by nurses. Her nominations state: "On 7/7/17, my daughter was admitted to the ER for appendicitis and had to have emergency surgery. From the time that she was put into a room on the second floor, Ms. Tiffany gave 250%. We as her parents are grateful for nurses like her. She took extra time helping us understand all of what was going on and keeping our daughter calm and content. She showed wonderful bedside manners. She truly made our stay at LOSGH a pleasure. Thank you all staff for a job well done!" "I have had her a lot of times for myself and both my grandchildren. I never had a nurse or anyone else that treated me with the kindness and respect that she has and even prayed with me. I love this woman and she deserves the award." "During my stay at LOSGH, Ms. Tiffany went above and beyond to help me in any way and every way possible. She is very kind, caring, and loving. She treated me as if I were the only patient she had to take care of. She took her time to help me understand everything that was going on. If anyone deserves this award, it would be her. She took care of me for 2 days and never changed! Thank you all at LOSGH for your loving, caring, and being spectacular at what you ladies and gents are trained to do!" Please continue to submit nominations by downloading and returning this form in the DAISY Box located at the front lobby reception area or mailbox area. There are also blank nomination forms in the lobby area. You may submit nominations as often as you like, since this is an ongoing recognition program. Certificates may be given out monthly and awards will be given out annually. 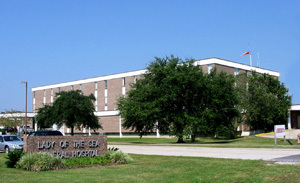 If you have any questions, please contact Holly Griffin, CNO at (985) 325-9407. Read more about the DAISY Foundation and award on the official website here.